If you love BBQ then Pine Shed Ribs is for you. You can read about my full review here to see what all I got and what all they have. I have been here a few times. They serve huge plates of meat with sides. If you have a hard time deciding what you might like to try, then the sampler platter is probably what you should get. With this you get a taste of almost everything they offer. Out of all the meats we tried our absolute favorite was the brisket. That’s not to say we didn’t like the rest. We just know exactly what we will order the next time we go. Although I did see they also have smoked pastrami on the menu, so I will have to try that. Everything had that great deep smokey flavor. It even had the char of the smoker on it. If that wasn’t enough to wake the senses, they also serve it with their very own BBQ sauce, which was great by the way. Some BBQ sauces are too sweet and thick others go more on the tangy side, but this one….this one settled right in the middle with just enough sweetness to not take away from the smoked flavor of the food. Just the way BBQ sauce should be. 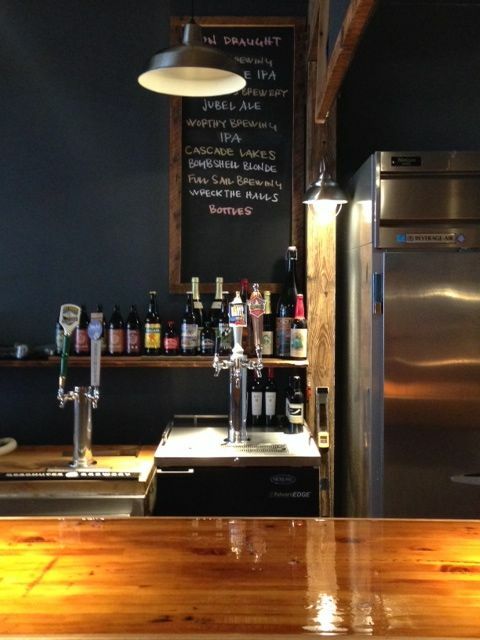 Belly up to this bar with 5 beers on tap and bottles of beer too. 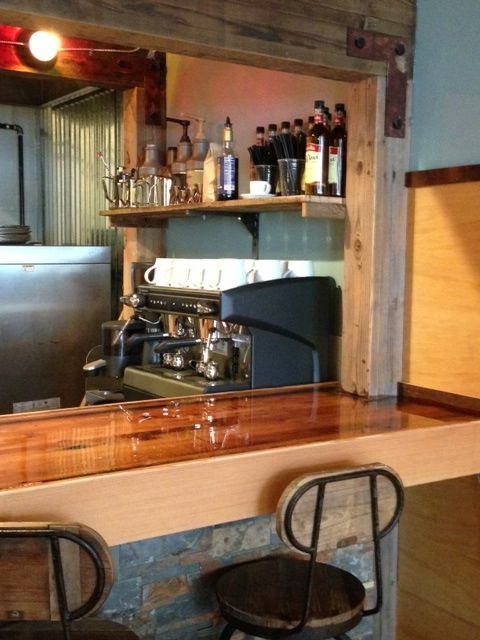 Since our first visit they have opened a great little seating area inside, The Piglet. You can actually go in here and place your order. For those colder months you can stay in this space with a pellet stove and beers on tap or you if the weather is looking good you can make your way out to the great outdoor seating. I also like that they have since opened up early and you can grab coffee and breakfast pastries. The choice is up to you, what meal you would like to enjoy? I am giving away a $30 Gift certificate for you to try this place out. Actually, I think more people need to experience this place, so let’s do 2 of those $30 gift certificates. Leave a comment below or on Facebook letting me know how much you love BBQ and if there is anything in particular on the menu you would like. That’s it. Each comment gets you an entry and I will do a random draw on Feb 3 at noon and announce the winner shortly after. All entries up to Noon will be accepted. This giveaway is now closed. Winners are Matthew P and Stacy H.
Thank you for reminding me of this great little place! We use to live down the street and it was always a fun place to go for some amazing BBQ! We haven’t been there in 2 years – and I’m kinda’ thinking we might need to make a visit soon! I LOVE BBQ.. always on the look out for a new good one! Would love to try their almond smoked chicken! Never even heard of it before! Love me some good brisket! I’ve actually never had BBQ other than in a backyard, so I’d LOVE to go and experience that! It’s hard to believe that you are giving away gifts when you already give us visual pleasure with the photo’s of drop dead gorgeous food…the coy corn bread tucked in next to the cole slaw that is exploding in colors. Oh my tongue is so ready to lick up savory sauces, sides of macaroni and cheese with the bacon bonanza…But when anyone looks my way, and see’s a grown woman with her grinning blue teeth & mouth framed with marionberry filling from a cobbler, plus a big BIB tied on then tucked under her plate to prevent any stray morsels from hitting chest or table then bouncing to floor, you will then know, and hear the other diners exclaiming~~”Hey! Dang, that’s the lady who must of won the gift certificate, and hoooweeee, she didn’t bring anyone with her to share the prize! Way to go BBQ Mama!” And I will move alll thenapkins, bowls and plates to reach for my big glass of Iced Tea and give a big toast to all before I dig back in…rib and chicken bones flying. Entering on behalf of my parents who are not cool enough to do social media but LOVE bbq. I love to try some yummy BBQ, what a fun giveaway, You sure find so many Great places to eat!! Would absolutely love to enjoy the conundrum of oh so many wonderful choices here and truthfully I would have NO idea until I got there as to what I would enjoy feasting on most!!! My heart (and stomach) yearns for some Hill Country BBQ, all laid out family style and BYOB (Shiner Bock anyone?). I try any and all BBQ in PDX and would definitely like to get some brisket, ribs, red potato salad and ranch beans in mah belly from Pine Shed! I’m a sucker for ribs & brisket! The Bacon Cheddar Mac sounds pretty divine, too! Throw in a cold IPA & I’m good to go! Pastrami and a cold IPA. it has been too long since i’ve had some good ribs. i’m ready to get messy. 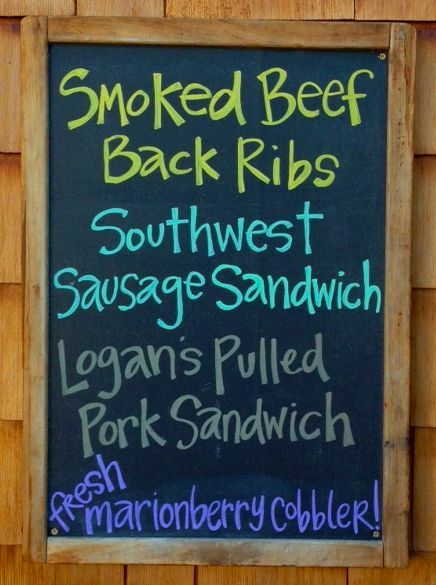 would love to try the brisket sandwich and coleslaw. the menu looks very good ! Oh yea y’all…I’ve been looking for a place to satisfy my urge for some good bbq like back home in Arkansas. Woo pig soiee! And cold slaw on top please. Probably would try a little bit of everything (platter), but would have a hard time not eating pulled pork over and over as it’s one of my weak spots. 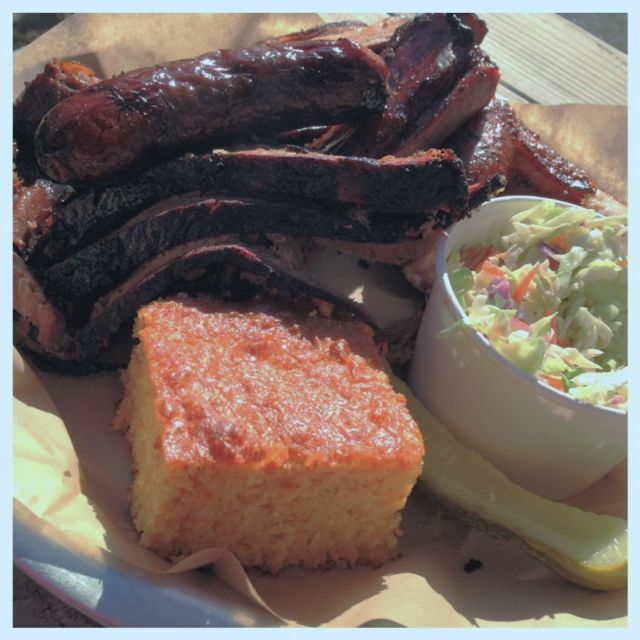 My husband is always on the hunt for good, authentic bbq in Portland…I would love to take him here to try it out! I would love to try the brisket! I found you thru frugal living NW on pinterest…this looks like the kind of place that our family would love. I would go for the sample platter because I have a hard time making choices! Thanks for the chance to win! Brisket is always my go to order when trying a new place but I make my husband order ribs as they are my second favorite. Making a decision on sides is difficult as I love them all. If there is an unusual or rarely seen side, it will win out. This place looks pretty good! It’s always nice to get someone else’s opinion before trying a BBQ spot. Oh dear me, they are just a few blocks from where I work. I stuff myself to the gills every time I go there, which is admittedly not very often or I’d weigh 300 pounds. I love the pulled chicken, the mac and cheese, the corned beef (when available) and their desserts are just so very delicious. Haven’t tried their BBQ yet. Looks and sounds delish. I’m from Alabama and love finding great BBQ out here in pdx. I’d love to try the brisket and the bacon Mac n cheese sounds rich. Thx for sharing this spot.